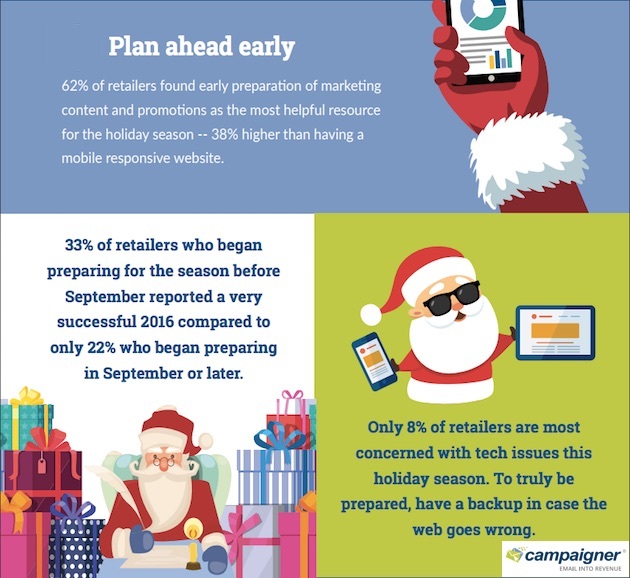 What can retailers do to prepare for the busiest time of the year? Holiday seasons are rapidly approaching! According to our friends at marketingprofs.com, Retail marketers say developing content and promotions well ahead of time is the most effective thing that can be done to prepare for the winter holiday shopping season. One-third of retailers who began planning before last September say they had a successful 2016 holiday season; only 22% of retailers who began planning in September or later say they had a successful 2016 holiday season.